Once again, I apologize for the lack of blog posts lately, but we've been working almost exclusively on Wandering Heroes of Ogre Gate and it has required a good deal of time and research. I want to talk a bit about Romance because it is a very important aspect of the Genre that has come up in play a number of times. First, I am generally the sort of GM who avoids romantic threads in a game. It just isn't really been my cup of tea as a player or referee, and I have also find it makes some folks uncomfortable or embarrassed (myself included). But love is central to the wuxia genre. It just keeps coming up again and again. It isn't featured in every wuxia story or movie, but it is a staple. So ignoring it in a wuxia campaign, for me at least, feels strange. While I was quite reluctant to feature romance in my first Wandering Heroes of Ogre Gate campaign, I found it really opened up all kinds of interesting developments that simply couldn't have happened otherwise. And while it did make me a bit uncomfortable at first, I found one easy solution was to shift to more of a third person approach until it became less awkward for me. Usually my games feature primarily first person dialogue. However it is still natural for me to shift once in a while from dialogue mode to descriptive mode. This proved helpful in having love feature in the game but holding it more at arms length if folks seemed less comfortable with it. 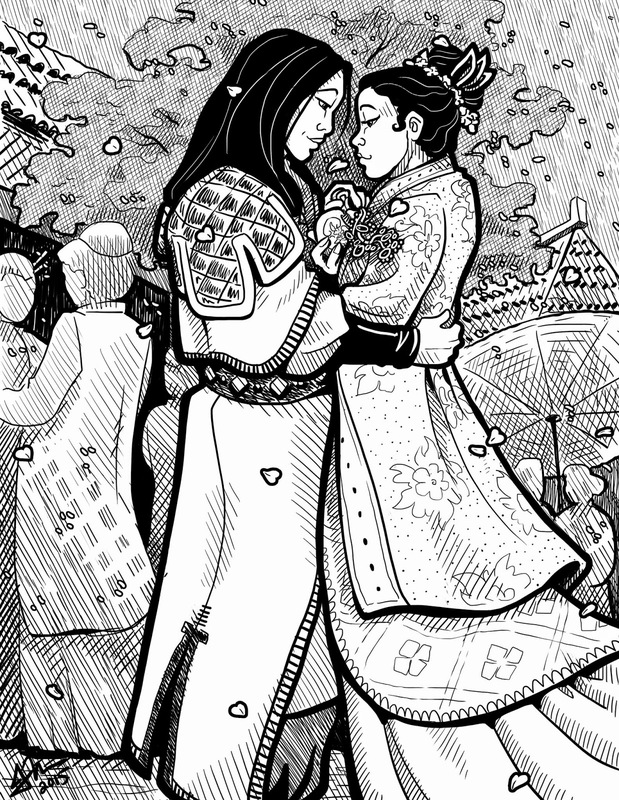 Over time, it became less embarrassing for people and was treated like anything else in the game (in fact we had a PC named Leng Anzhi and NPC named Min marry in one of our previous play tests: HERE). One of the things romance does is it ties player characters to the setting, giving them roots but also creating new potential conflicts. Not every character will fall in love, but those who do find they have more to strive for and more to lose than mere wealth or prestige. So Romance and Love have become more important during the development of the game. In fact the history of the setting is based around a legendary couple named Sunan and Bao. They were great heroes who drove back the Demon Emperor and restored peace to the land. This won't be for everyone of course, and those who want to avoid Romance are free to do so. But Romance is there in the setting material and hopefully this will inspire some to make us of it.